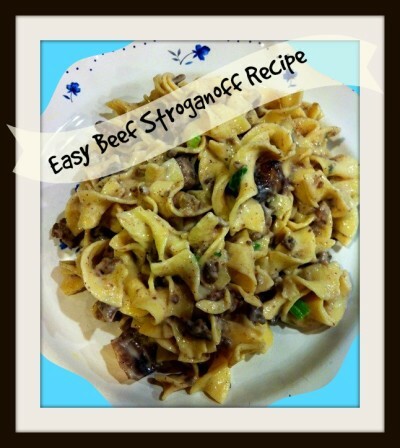 Here’s a quick and easy Beef Stroganoff recipe with mushrooms that can be whipped up in no time at all, and sure to be a hit. Cook egg noodle as directed on package. While there cooking start cooking your ground beef. 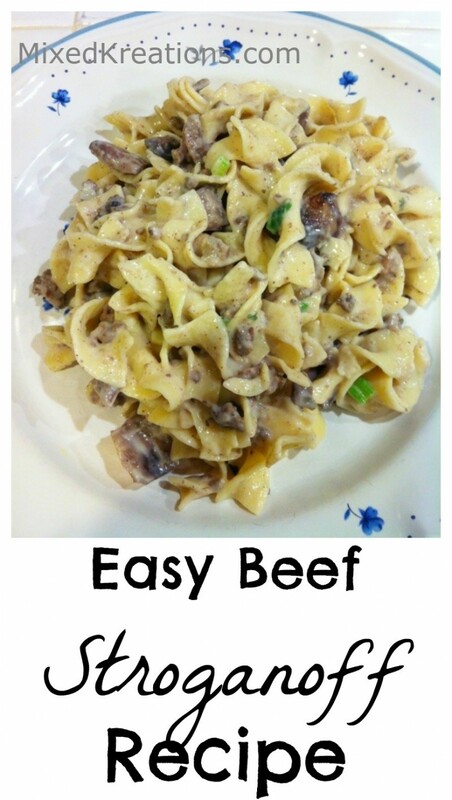 Drain water from cooked noodles, then add cooked beef, mushroom soup, onions, mushrooms, garlic, basil, parsley, salt & pepper. Mix well, then add sour cream and mix. Enjoy! 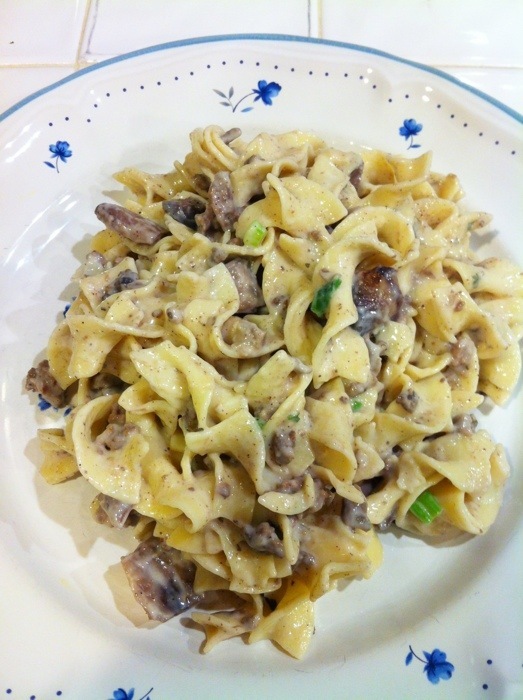 That’s it for this quick and easy recipe that taste good too!